Police launch investigation of drone manufacturer that allegedly tried to bomb Armenian military for Azerbaijan during product demo. 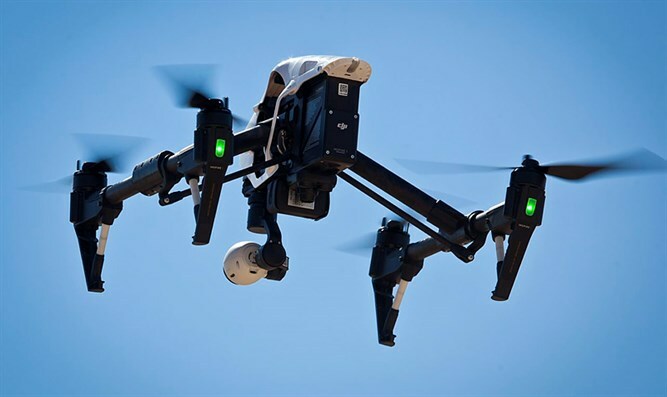 JTA - Israeli police launched a criminal investigation of an Israeli drone manufacturer that allegedly tried to bomb the Armenian military on behalf of Azerbaijan during a product demonstration. In September, the Defense Ministry opened an investigation of Aeronautics Defense Systems after it received a complaint that the manufacturer demonstrated the use of a kamikaze drone in Azerbaijan by attacking a manned position of the Armenian army earlier this year. According to the complaint, the firm sent a team to Baku, the Azerbaijani capital, to demonstrate its unmanned Orbiter 1K system, which can be equipped with a small explosive and flown into an enemy target on a “suicide mission.” During the demonstration, the company was asked to conduct a live-fire test against the Armenian position, the complaint said. The two Israelis operating the two Orbiter 1K drones refused to carry out the attack despite threats from their superiors, according to the complaint. Two senior members of the Aeronautics Defense Systems team then attempted to fulfill the Azerbaijani request, but failed to hit their targets, the complaint said. Azerbaijan and neighboring Armenia have been engaged in a violent territorial and ethnic conflict for three decades that has escalated since last year. Aeronautics Defense Systems denied the substance of the complaint at the time. The firm said it expected to make a $20 million deal over the next two years with the “significant customer,” according to publicly available details of the investigation. Azerbaijan is a major importer of Israeli weapons and an important ally given its border with Iran. Responding to reports of the investigation, Aeronautics Defense Systems said it would cooperate with police. Aeronautics Defense Systems has also reportedly had dealings with the Myanmar military junta, which is accused of ethnic cleansing the country’s Muslim Rohingya minority.